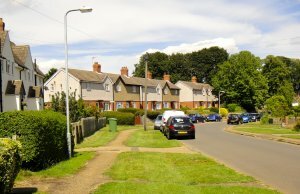 Set in the rolling hillsides of south-west Northamptonshire, six miles north-east of Banbury and its M40 motorway junction, the small rural parish comprises about 1030 acres (417 hectares). The short, west boundary borders Oxfordshire. The hamlet of Lower Thorpe in a valley to the north-east of the village has been devastated by the onset of the HS2 railway. 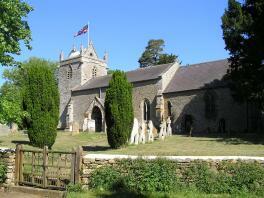 When visiting the village use postcode OX17 2EY for directions. A Google map of the parish can be found on the Contact Us page. Parishioners' livelihoods were previously centred on rural activities but whilst farming continues, the village is now primarily a base for commuters and the retired. The village stands on a former livestock drovers' route, 'Banbury Lane.' 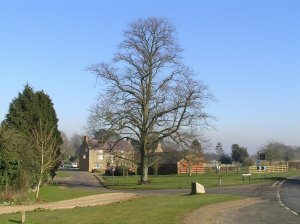 Further information regarding the history of the village may be found on the independent website www.thorpe-mandeville.co.uk . 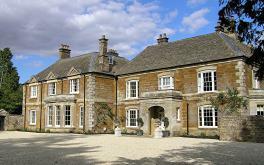 The manor house probably dates from circa 1700. It replaced a former manor house which stood west of the church. The parish church, dedicated to St. John the Baptist, dates back to at least the early 14th century. It has Grade I listed building status. Features include a saddle-back tower roof, an impressive early 17th century monument to the Kirton family, a 14th century wall painting and attractive 19th century scholastic stained glass windows. There is a splendid ancient yew tree in the churchyard, being well over 1,000 years old. 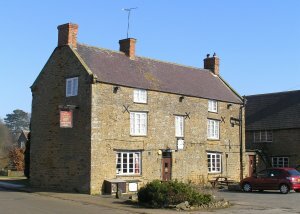 The Three Conies Inn is believed to date from at least the 17th century. It was a drovers' inn providing overnight accommodation for livestock drovers and their stock. The inn has been owned by Hook Norton Brewery Co. Limited since 1920.